The Cleveland Cavaliers are staring an 0-2 deficit in the face, and the Golden State Warriors are oozing with confidence. Although Cavaliers leader LeBron James did his best to take over in the first two games of the series, his team still lost by a combined 48 points. At this point, Cleveland needs two dominant performances from their superstar in order to head back to Golden State with the series even at 2-2. If he can’t do it, then the Cavaliers are all but finished. Being down 3-1 is a real possibility for the Cavs, and James is likely the one man who can keep it from happening. So, the question becomes what are the things that could stop James from leading the Cavaliers to two victories in back-to-back games? Well, it all starts with his own teammates. If either Kyrie Irving or Kevin Love struggle, that’s probably going to be all she wrote for the Cavaliers. 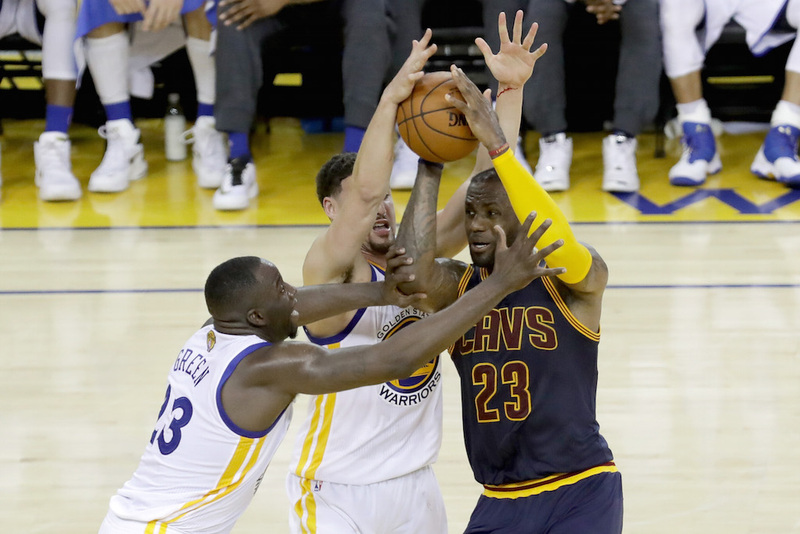 In Game 2, we saw Love score exactly five points with three rebounds on 2-of-7 shooting — and the Cavaliers lost by 33 points. In that loss, the Cavaliers had exactly three players score in double figures: James (19 points), Richard Jefferson (12 points), and Irving (10 points). Basically, Game 2 was a complete and total disaster. It’s not a good thing when the veteran Jefferson is the second-leading scorer. Looking back at Game 1, which was a 15-point loss, the “big three” combined to score 66 of the team’s 89 points. 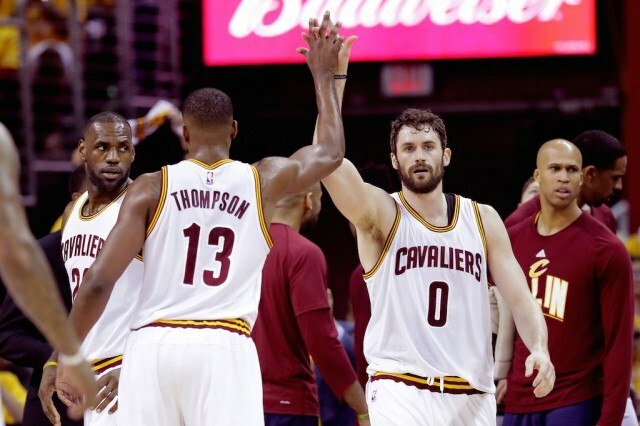 Only one other player scored in double figures, center Tristan Thompson, who had 10 points. This means that after those four players, the rest of the team scored a total of 13 points. If losing production from one of the big three doesn’t hurt them, finding basically no offensive production from the rest of the roster would do the trick. If both Stephen Curry and Klay Thompson are as much on fire as they were in Game 2, then the Cavaliers and James are done. In that Game-2 blowout, the two sharpshooters combined to go 13-of-24 from the field and 8-of-16 from three-point land. This all came when the two played just 25 (Curry) and 31 minutes (Thompson), as the game got out of hand for Cleveland pretty early on. Things could have been far, far worse than they were for James and company. 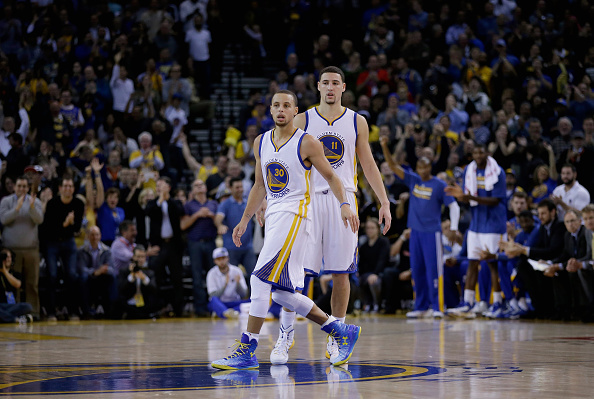 It won’t even matter if LBJ posts a ridiculous triple-double if Curry and Thompson light it up. When speaking specifically about James, this one comes down to his own jump shot. As Matt Moore of CBS Sports pointed out, James shot just 29.9% on jumpers heading into the NBA Finals. If he can’t knock down jump shots, then the Cavaliers are all but finished. The Cavaliers may have been able to win games with James struggling on that jump shot against most teams, but they won’t find success when facing these Warriors. Andre Iguodala and the rest of Golden State should be completely confident in allowing James to shoot the ball from the outside. In the first two games of this series, James has gone 16-of-38 from the field, while hitting three three-pointers in nine attempts. The outside struggles should be an obvious concern, and they could be the downfall of the Cavaliers and James in this series. Statistics courtesy of ESPN.com and Basetball-Reference.com.